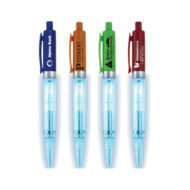 Custom pens imprinted with your logo, slogan and contact information is inexpensive yet effective way to advertise your business, organization or cause. 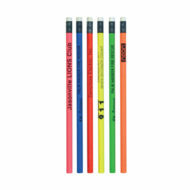 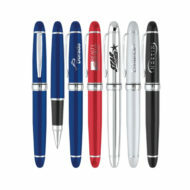 Personalized pens is just what you need to ensure your logo is seen everywhere. 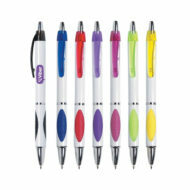 We offer custom imprinted logo pens at the lowest price. 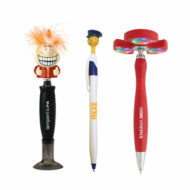 We have a wide selection of metal pens, plastic pens, stylus pens, banner pens, pencils, highlighters, flashlight pens, and novelty pens to showcase your brand! 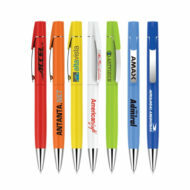 Logo imprinted pens are a perfect giveaway for trade show, every day marketing, thank you gift, new hire gift, travel gift and more. 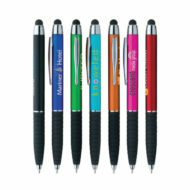 To make a lasting impression for your brand or business, we offer free setups and free shipping on many of our logo writing instruments. 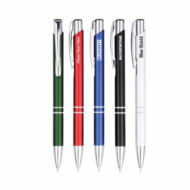 For the best source to order top quality promotional pens, shop our custom imprinted pen options with fast production and low minimum order requirements!